Let's face it - flexible seating looks super fun and inviting but are your students and your teaching environment suited to this new trend? There has been a growing number of studies published over the last 5 years that shows that sitting down for prolonged periods isn't good for anyone and that knowledge is easier to retain if students are kept active. Firstly you really need to consider your environment - do you have the space for alternative seating choices? How easy is your teaching space to move around? 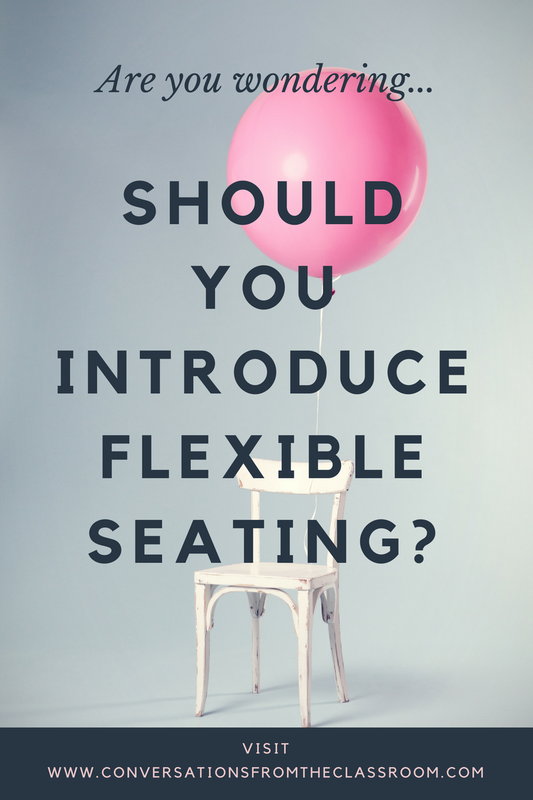 What kind of flexible seating would each area of your room be suited to? Looking at your teaching space from a learners point of view as well as a teacher will help you see how practical flexible seating will be for you and your students. Next, you really need to consider your students as individuals. Every groups of learners is different and while you can get a feel for the types of flexible seating that work for your current kiddos - next year's class might have completely different needs. Then, there is the element of choice. Too many choices of seating options and you may open yourself up to indecision and wondering students. Too little choice and you may get squabbling over certain areas. It will be trial and error and it is rare to get it right first time! Another element that is super important is comfort. When your students are comfortable you will notice their attention spans seem to last double that of uncomfortable, fidgeting kiddos. Opening up the options to stand up or sit back while working is great for those high energy kids. Budget. Having a decent budget when you first set up your room is going to do you lots of favours. You might find ideas that really, really work and ideas that aren't so great so it's good to buy flexible seating options that can be repurposed as other classroom items should the original plan not go as hoped! It's all about experimentation. Only you are going to be able to work out what will and will not work for your students, your classroom and you! When you have worked it out I would love to see a picture! I'm always on the hunt for fresh, new and inventive ideas for flexible seating!